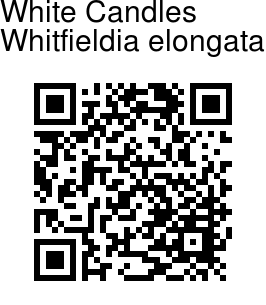 White Candles is a shrub that can be erect or semi-climbing, with stems up to 3-5 m long Leaves are dark green, glossy, elliptic with a distinctly wrinkled texture. Young leaves tend to be curled upward along the margin, while mature leaves are often strongly curled backwards. White, tubular flowers are composed of 4-6 elongated petals. The stamens are also white and extend well past the opening of the floral tube. The flowers are arranged along a spike-like inflorescence, up to 20 cm long. This species is free flowering, producing large numbers of flowers throughout the year. 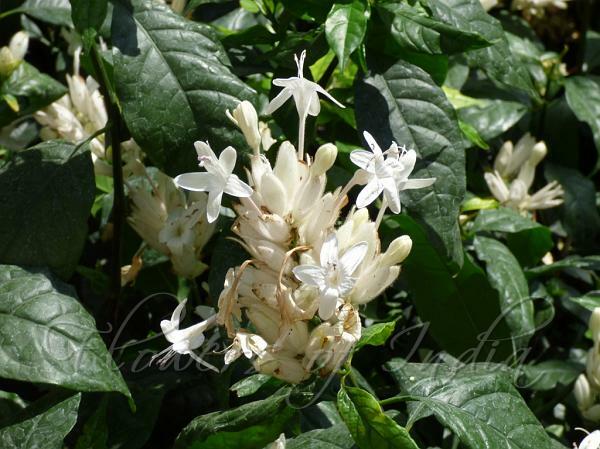 White Candles is native to Tropical West Africa. Identification credit: Aarti Khale Photographed in Papaya Nursery, Nasik.